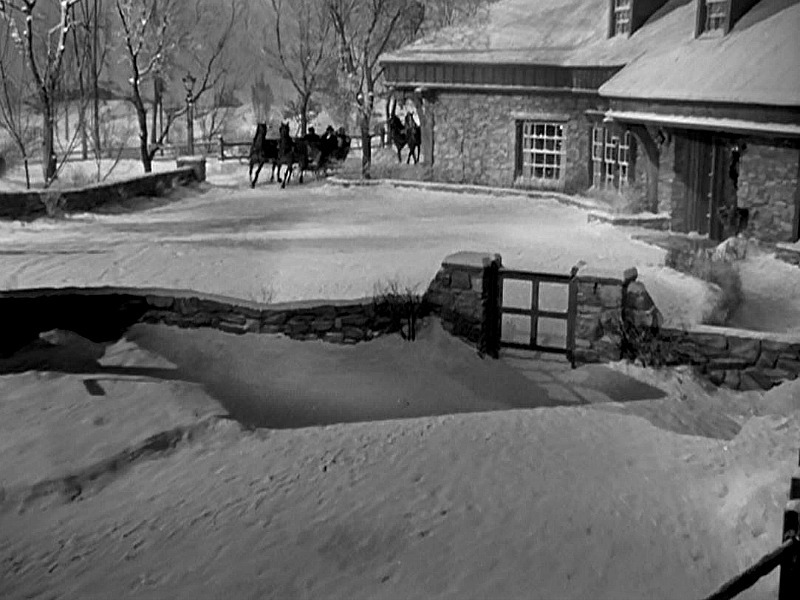 The Farmhouse from the Classic Movie "Christmas in Connecticut"
One of my all-time favorite movie houses is the stone farmhouse from Christmas in Connecticut. 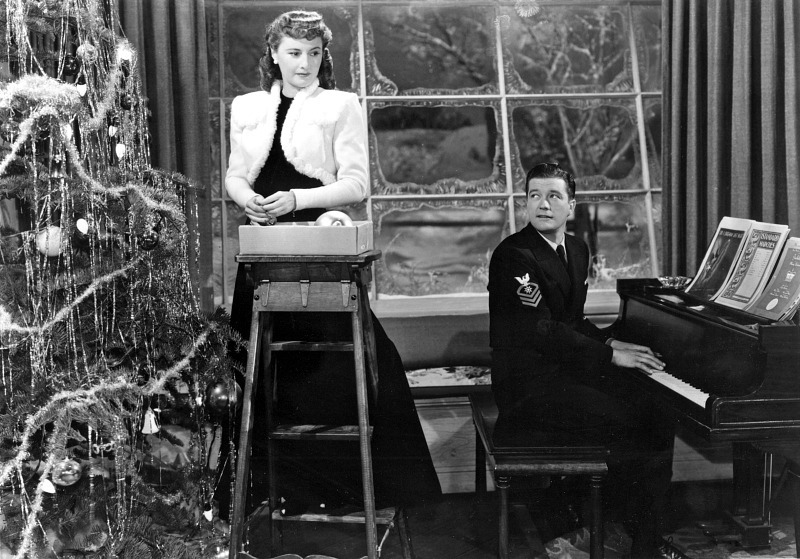 Every December I watch this classic Barbara Stanwyck comedy and daydream about celebrating the holidays in it. It was one of the first onscreen houses I ever featured, but since many of you probably weren’t reading my blog in 2008, I thought it was time to revisit it. Let’s take a look back at this classic! Note: This post contains Amazon affiliate links that may earn me commission. 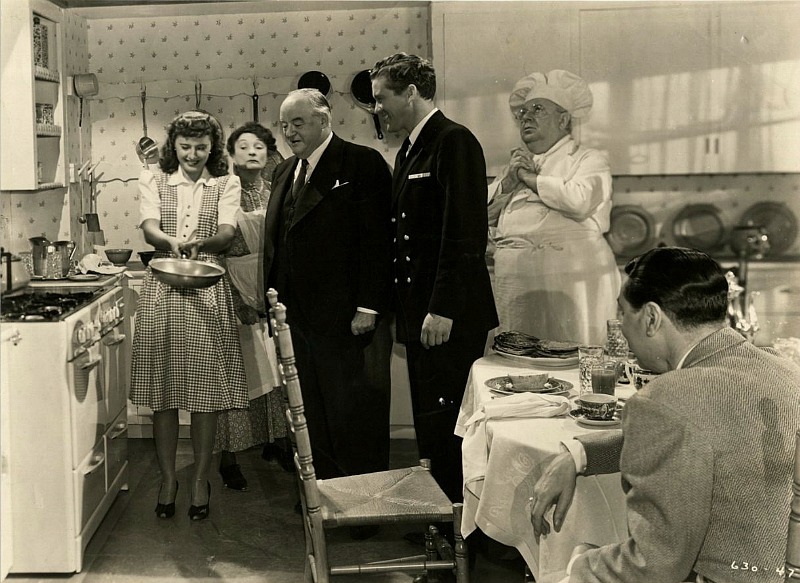 Barbara Stanwyck played Elizabeth Lane, a writer whose popular Smart Housekeeping magazine column describes her idyllic life as a wife, mother, and accomplished cook on her farm in Connecticut. The Connecticut farmhouse belongs to the architect she’s dating. And what a farmhouse it is! When publishing titan Alexander Yardley invites himself to Christmas dinner on the farm and wants to bring along war hero Jefferson Jones as a sort of publicity stunt, Elizabeth and her boyfriend — now fiance — have to pretend to be married. 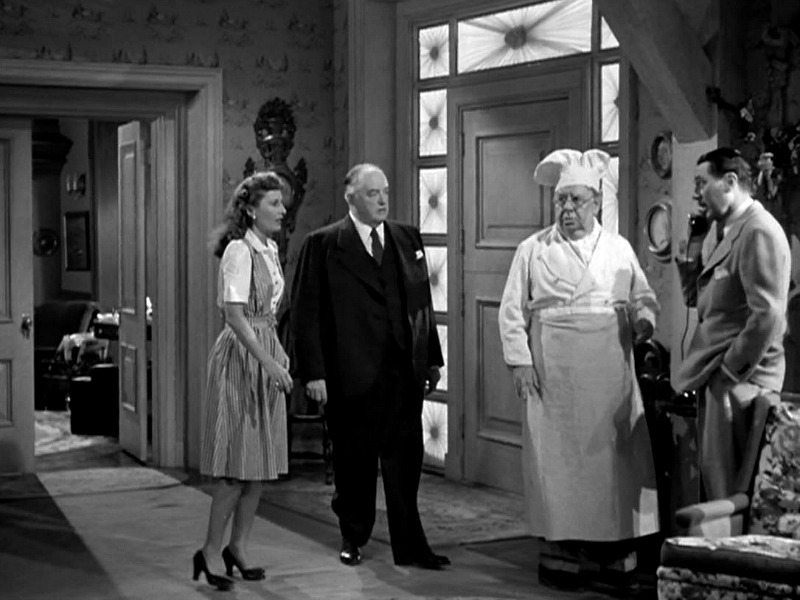 She brings along her uncle Felix, a chef whose recipes she uses in her columns, to do the cooking. Sadly, the farmhouse wasn’t real, and it wasn’t in Connecticut. It was built on a Warner Bros. soundstage in Burbank, California. 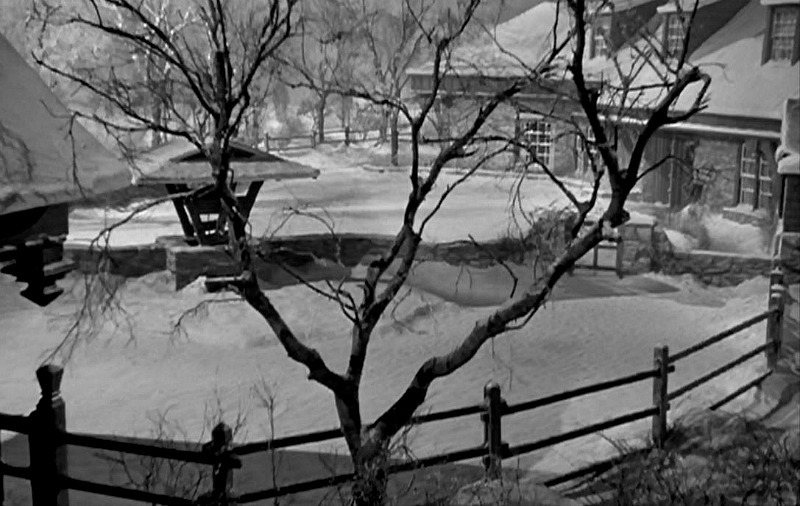 But that movie was filmed on the RKO Encino Ranch (you can see photos in my post about it). One wonders if the props for the movie are stored somewhere on the Warner Brothers lot, since the setting is an iconic never-never land and the ultimate house with the white picket fence. Sleighs are pulled by horses and sleigh bells announce the guests. But when all is said it functions a kind of magic retreat, like Shakespeare’s forest in Midsummer Night’s Dream. The grand stone fireplace in the center of the living room is so tall, the mantel is over their heads. I hear from a lot of readers looking for floor plans to build this house. I wish I had them! 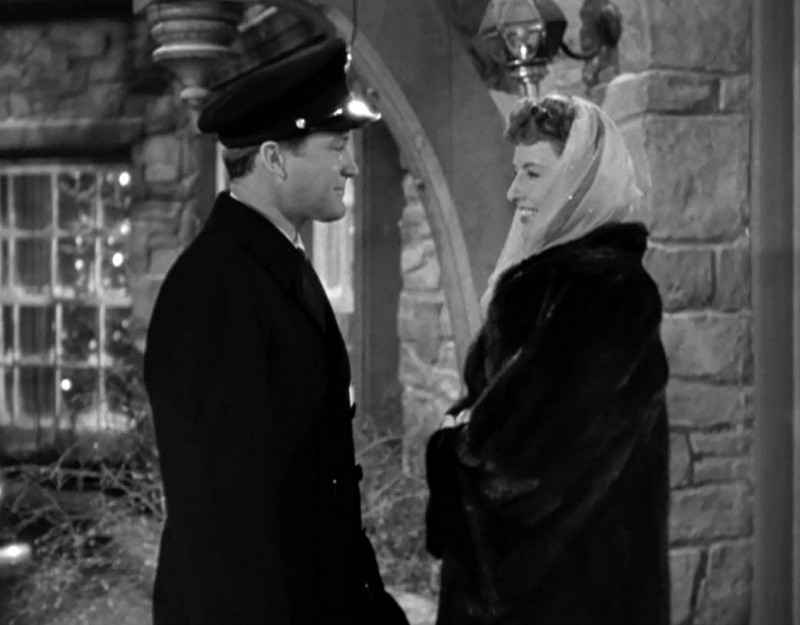 When Elizabeth meets war hero Jefferson Jones (Dennis Morgan), sparks fly and complications ensue! Jefferson helps Elizabeth bathe the baby in the bathroom. “You’d make a very good father!” she coos. 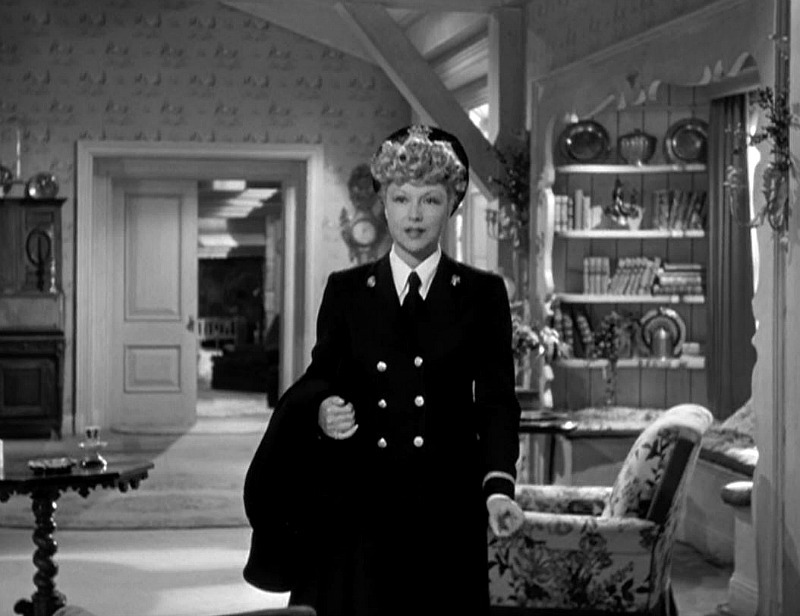 You can see her thinking: Handsome man in uniform (check!). Good with babies (check!). Plays piano (check!). Apparently this rumor came about many years ago when the IMDb.com website began annotating movies for readers. From late 1937 to the end of 1957, Gladys had a column entitled “Diary of Domesticity” that ran in Ladies Home Journal. 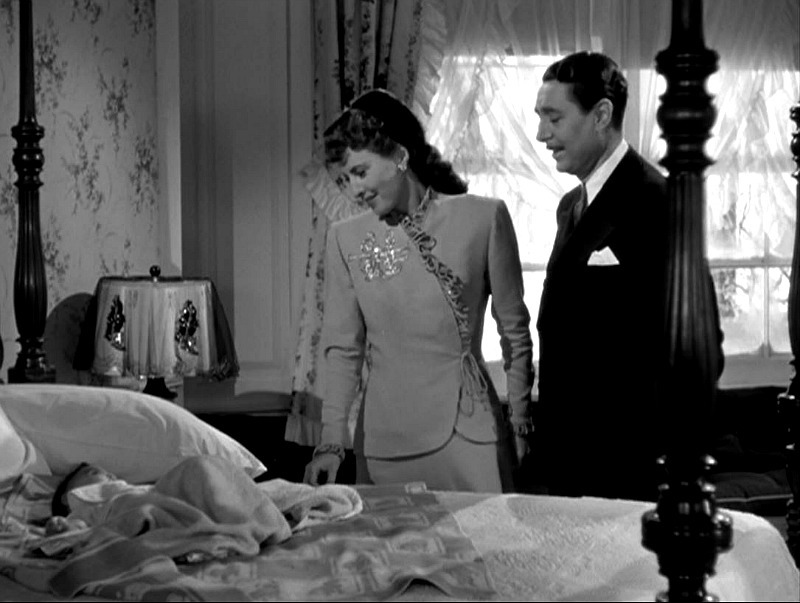 The family says they are sure the character of Elizabeth Lane was not based on Gladys, but the rumor has gone viral on the internet. I do feel that it doesn’t hurt getting her name out to more people: our goal is to get more people reading her books. Her column was one of the Journal’s most popular ever, and in 1945, the monthly essay was nationally well-known and at the height of its success. Apparently during the war, copies of Ladies Home Journal were sometimes included in care packages sent to troops overseas, and my family has a wonderful fan letter sent to my grandmother from a WWII soldier who had read her columns while in the service, and wrote that the soldiers had found comfort in her portrait of hometown America. 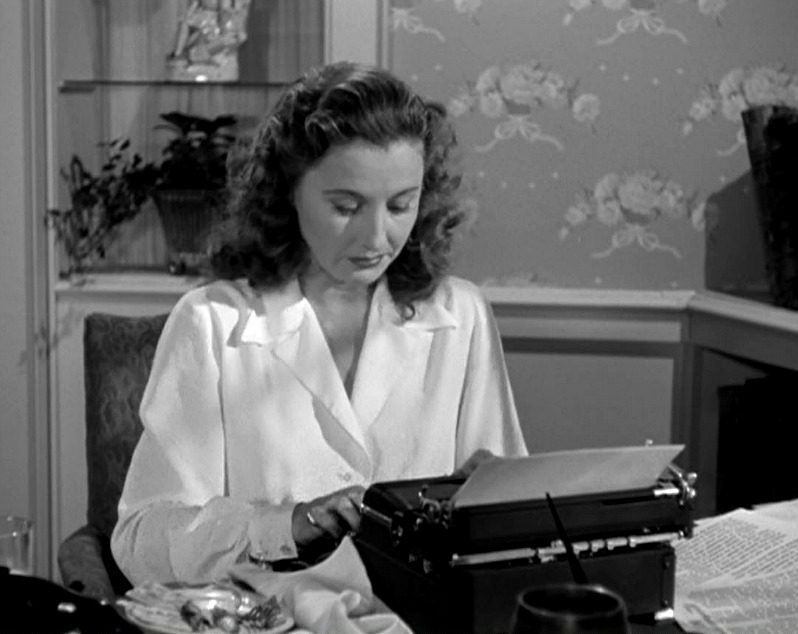 Elizabeth was a thoroughly modern woman for her time with a successful career as a writer. At 38, she still hasn’t married or had children, and she doesn’t know how to cook (or care to learn). She buys her own mink coats, thank you very much. Interestingly, her boyfriend is the one who has created a home, not her. Her uncle does the cooking. And the war hero knows more about bathing and diapering babies than she does. There isn’t a dining room — just this big eat-in kitchen where everyone gathers. And I just read a novel inspired by the movie. I’m a sucker for holiday romances! After writing my original post about the movie, a reader named Dave sent me a box filled with his late mother’s wonderful vintage editions of Gladys Taber books, including Country Chronicle and Stillmeadow Road. Tom Selleck's House from "Her Alibi" For Sale: See How It Looks Today! I think I discovered your wonderful blog when I was looking for pictures of the Christmas in Connecticut farmhouse. It’s a beaut! Those stone walls and beams and that big window are certainly drool-worthy. Hello Julia, Good timing! 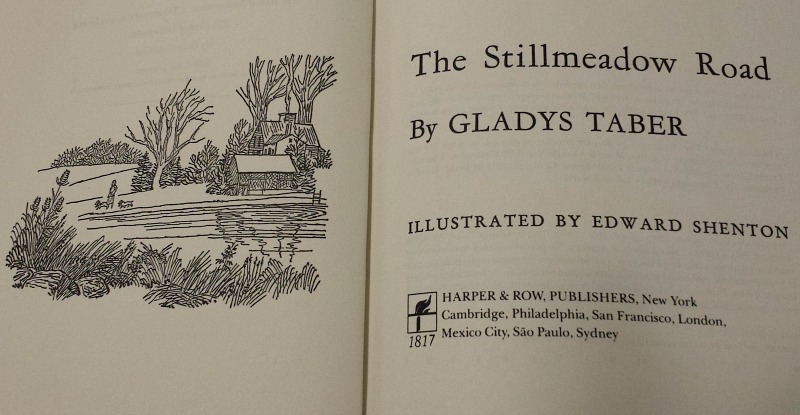 I just finished reading Gladys Taber’s Stillmeadow Daybook, and while it does tout the advantages of country living, Gladys seemed more interested in getting rid of existing husbands than in acquiring new ones. I am planning to get a few more of her books to see how it all comes out. 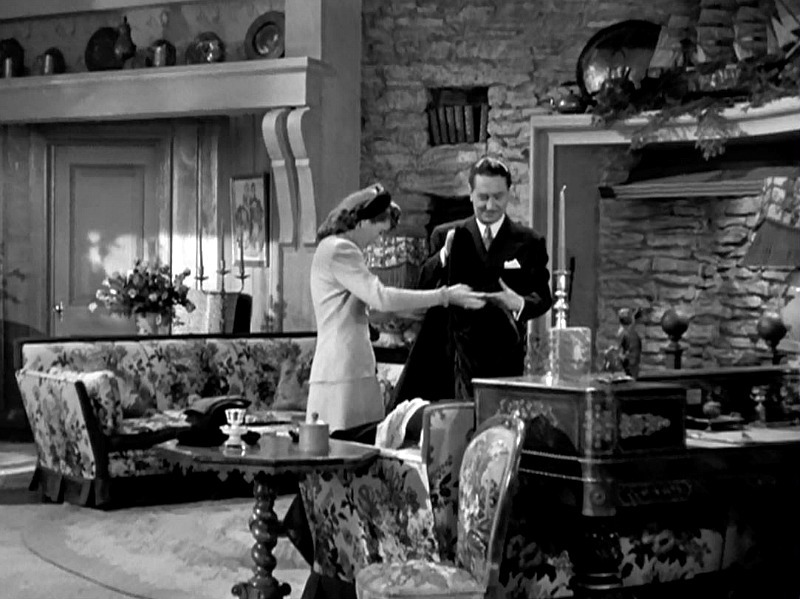 Although I could move right into the house in the movie, it does look more like 1940’s Hollywood than Colonial Connecticut. Thanks for delving deeper into one of my favorite Christmas movies. We just watched it together as a family on Thanksgiving. 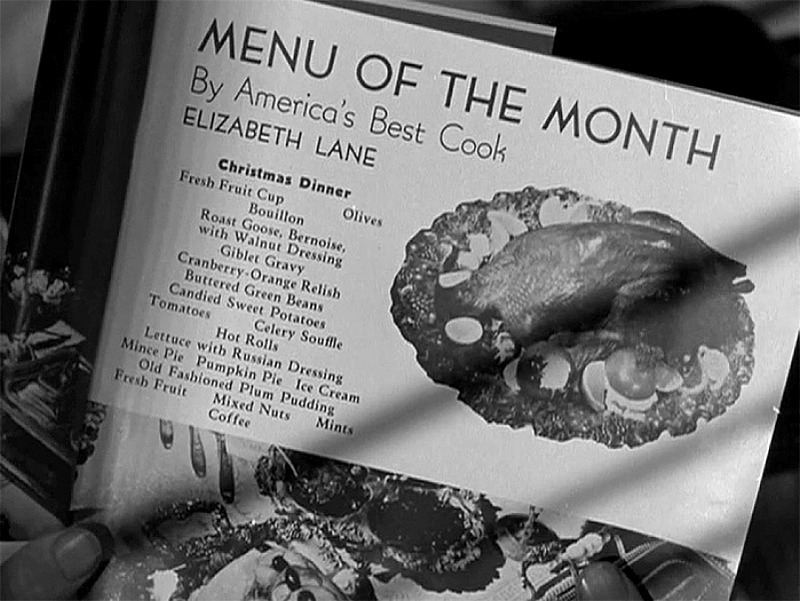 I always thought about Elizabeth as being a Martha Stewart type of character, but I never knew the real celebrity of the day was Gladys Taber. I’ll have to look into her books. I’m a little sad to know that my “Christmas fantasy” home doesn’t exist, but satisfied that if I can’t live there, no one else can either. I loved this! I am going to order the DVD ASAP! Thanks for posting. It’s definitely a beautiful home. One of my favorite movies, as well. I first watched it with my Dad when I was in high school and since his passing, I’ve watched it every year just before Christmas. I did not know about Gladys Taber. I will have to add her to my reading list. Thank you. This is possibly my favorite Christmas movie. I plan on watching it again on a cold night, sitting next to a cozy fire with a cup of tea and some time to myself. Thank you for reminding me how beautiful the house was. I have collected many of Taber’s books, they are very enjoyable to read. I like that movie too! Thanks for the reminder about it – i’m going to go look for it! I think my girls will enjoy it! This house just came on the market in Watertown, CT not far from Stillmeadow. It’s a turn of the century house that must have been remodeled in the late 40’s or early 50’s. The big picture windows and some of the details remind me of the Christmas in Connecticut house strongly. I think you could really add more detail to this house to make it even more charming. Ah! Someone who searches real estate as well. Vision Appraisal is a tax assessors service for many Connecticut towns, I looked up the Stillwater Meadow Property. The house remains in the family and looks pretty much as it did on the covers of the books above. – A white clapboard cape. Nice antique charm. The Southbury (CT) land trust has taken over the neighboring raw farmland. I do enjoy this movie and would love to live in a gorgeous stone house like this one! I have a habit of always pairing the picture with the caption below rather than above. Take a look – it gives the words, “The war hero’s fiancee shows up to complicate things further,” a whole new dimension. 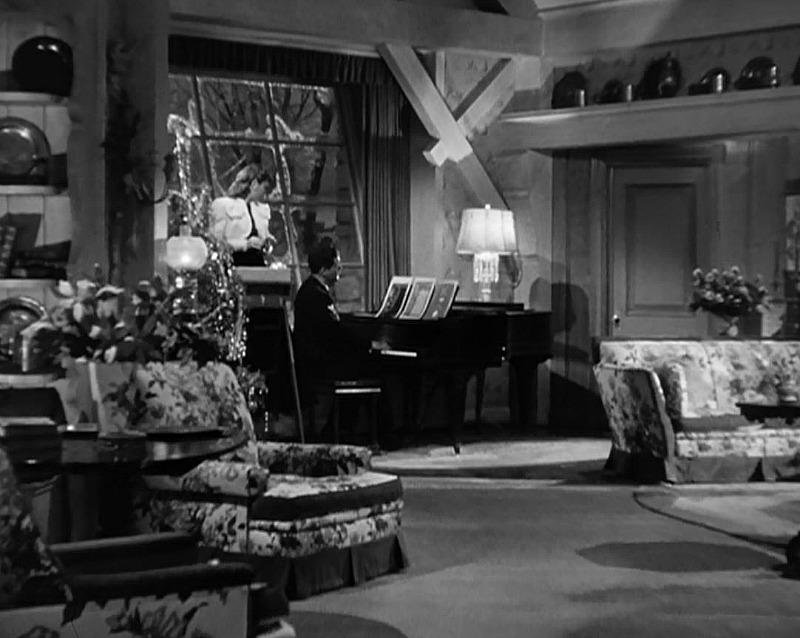 And, the house/set is lovely. I am especially happy that stacked stone fireplaces have come back into style – it’s a classic look that ages far better than mortar-set fieldstone. That made me laugh out loud! Too funny. I know some bloggers put the captions below their photos, but I figure you read it first, then scroll down to see the pic. This makes me want to reread more of my posts to see what unintended messages I might be sending, though! Ha. I haven’t seen that movie in years – but now I can’t wait to see it again! Thanks for reminding me and for the great trip down memory lane. 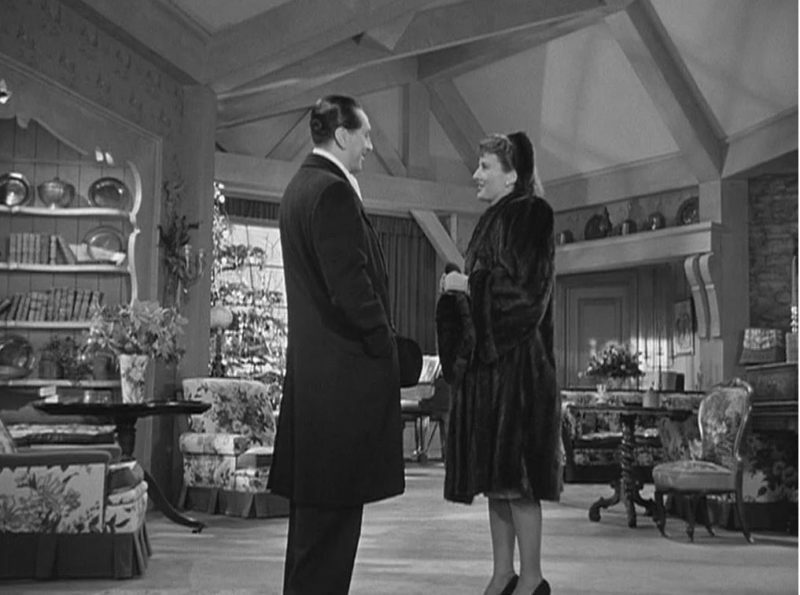 One of my favorite Christmas movies, and I too have always loved the house. Thanks for this post. I really enjoyed it. Lucky you to have those books sent to you. 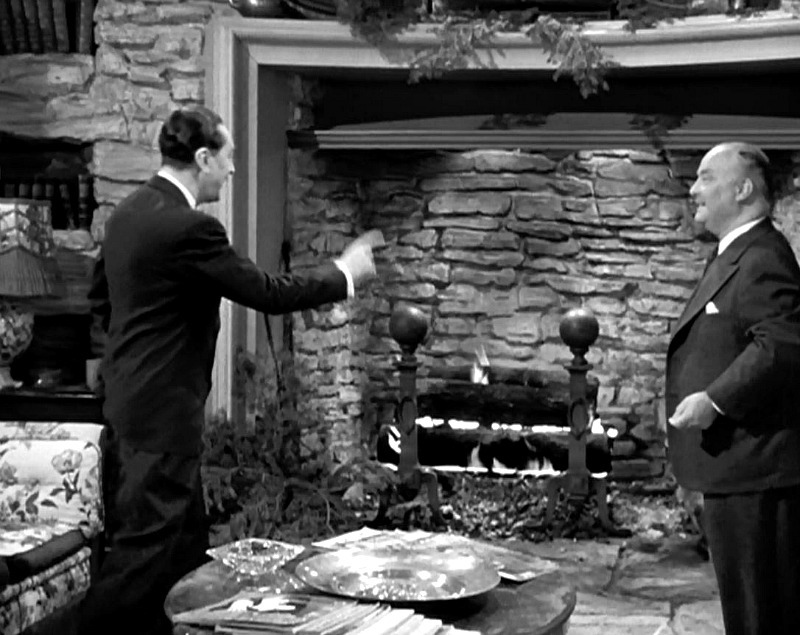 Is this the same set house used in “I Love Lucy” when they moved to the country? Julia, I cannot imagine how someone can keep up a blog for a few months, let alone ten YEARS. Anyone would need a break from blogging. Fun can easily turn into tedium when it becomes mandatory- like my Christmas time knitting projects that I make every year for gifts- it can become work instead of a hobby. We love you Julia- your anecdotes, your stories on houses in film and the images from them you share with your little thoughts are just so interesting and fun to read. Julia, you have a FABULOUS and witty sense of humor and I do wish you’d share more of that in your blog. We got to see quite a bit of your absolutely stunning quips in your old “funny home listings” you used to do, so we know you are absolutely hilarious. Wish there was a way for you to incorporate your biting wit into y our blog but that’s just me! Cheers and have a wonderful, warm, toasty and festive Christmas! I was definitely feeling burned out earlier this year. These days I’m trying to just write about things I really want to talk about and that I feel compelled to share with you guys, which makes blogging more fun for me. I hope that will come through in my posts! For a minute I thought I was standing in my own grand country manor! Then I woke up……. Great house, great movie, the greatest generation, (my parents’) and my Dad was a Purple Heart recipient, following the landing on Okinawa……He was a lieutenant in the Marines and when he was sent home (after he was shot) he fulfilled one of his men’s requests to say hello to his girl (who lived on the same block as his family)…..three weeks later they were engaged, so YES: sometimes the fiancees get in the way. But (lucky for me! ), not always! Thanks for the info and Merry Christms! Good to have you back. Oh my,Christmas in Connecticut is one of my favorites too! Right up there with White Christmas. 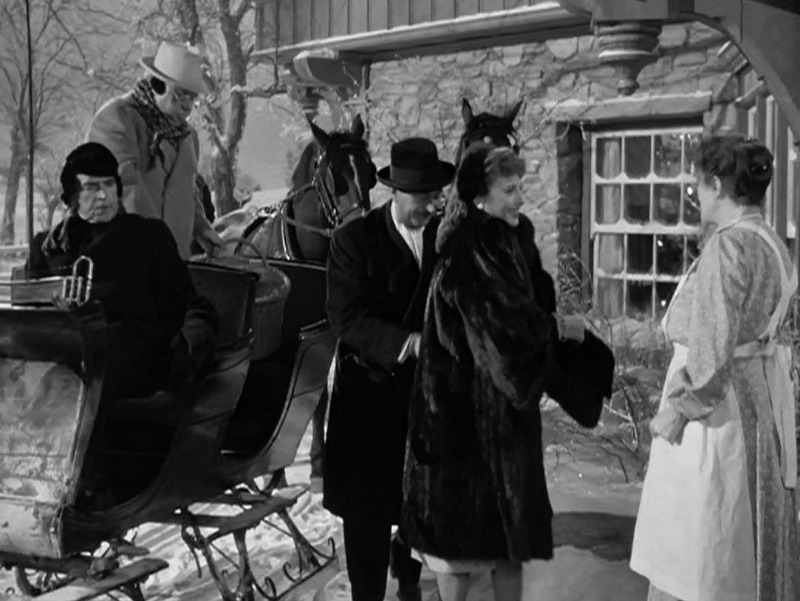 I love the scene where they drive up in the sleigh and the dog comes bounding out to meet them. It is one of the greatest Christmas houses. Just something about that fieldstone & crisp white clapboard together. I haven’t started watching my Christmas movies yet but have got to get going on them. Love this movie and house. 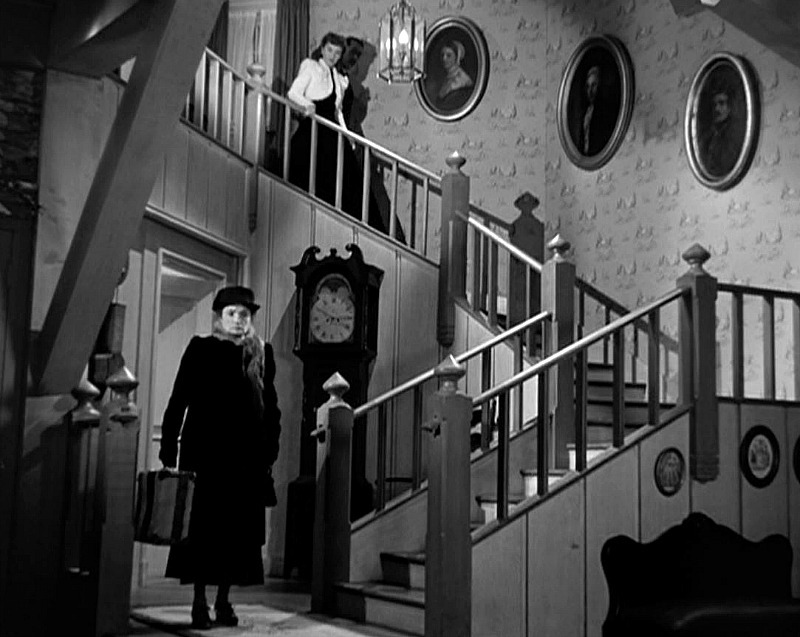 It is a similar house to one of the houses in Leave Her to Heaven, the one in which the lead woman falls down the stairs. I would love a house like that too. 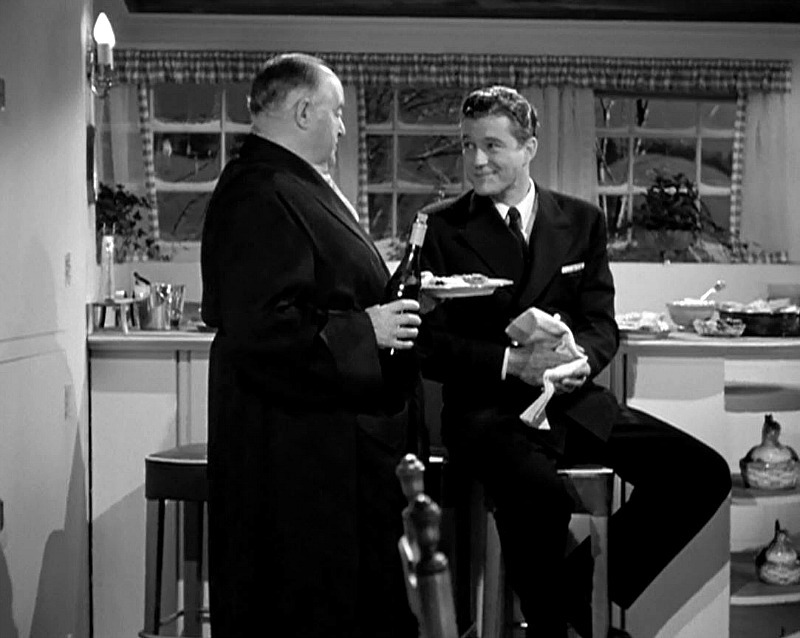 The 40s movies are just the best. 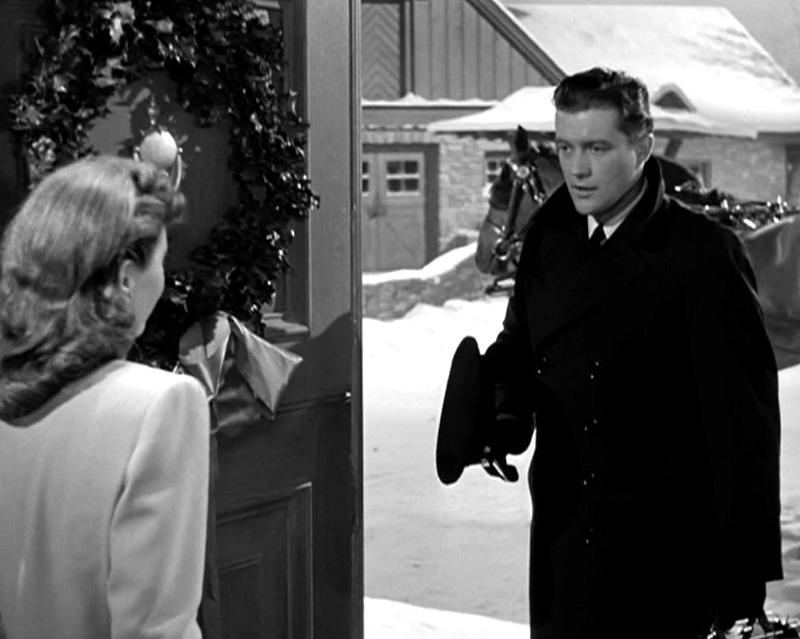 Christmas in Connecticut is my favorite Christmas movie! My sister, also Julia, gave me of VHS copy of it years ago for Christmas. I bought the DVD after VHS went out of the style and watch it a couple times a season. This movie never goes out of style. Barbara is one of my favorite actresses and I watch all her movies. As for the house, I love the house! Thank you for sharing it on your blog. I would love to live in it also. Maybe an architect can create plans of it from watching the movie. Thank you also for the information on Gladys’s books. I’d love to read them. 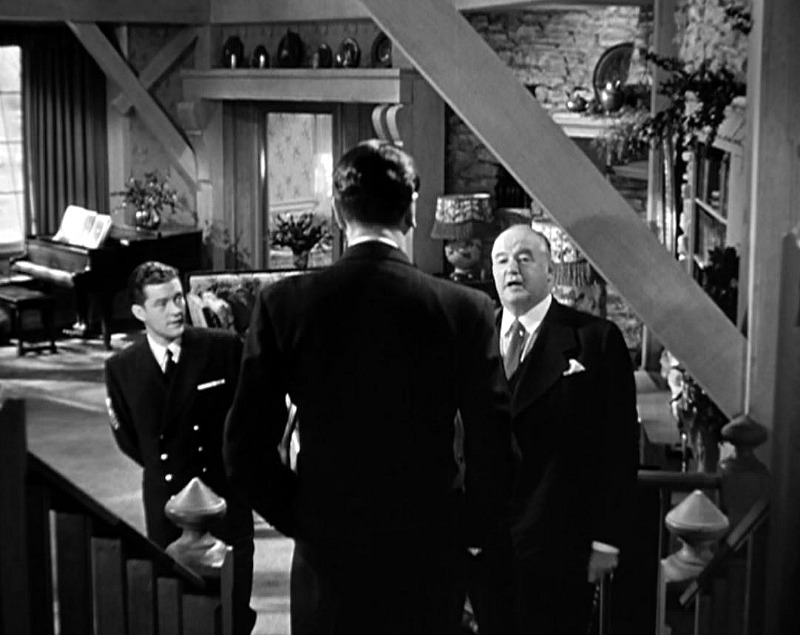 One of my favorite movies, always admired the inside of the home, right up there with Mr. Blandings Builds his dream house! Oh, my goodness, you have made my day! 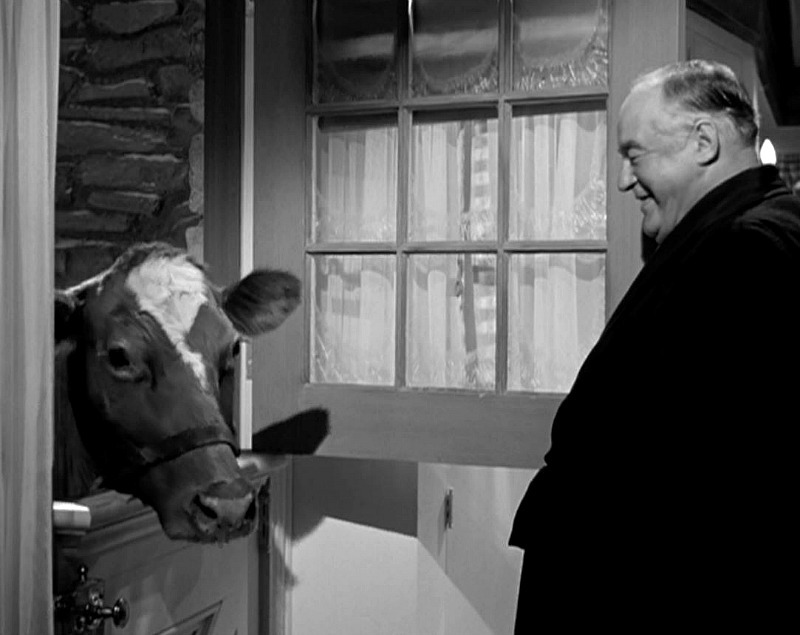 My favorite Christmas movie, the farmhouse I absolutely love, and good heavens – Gladys Taber, too – another favorite! I honestly thought no one alive loved Gladys Taber’s cookbooks, and all her other books as well, like I do. Am so glad you’re back, and love that this was the post for this perfectly winter day here in Ohio. Thank you for sharing! It always fascinates me that so many people say that they love this house and the cozy feeling it gives them, yet no one now follows this style–everything is modern and from IKEA. As you know I got the picture window and braided rug along with a few antiques, but I still want the fireplace, shelving, pewter, copper, flowered chintz-covered down sofa and chairs, beautiful woodwork, Dutch door, etc. 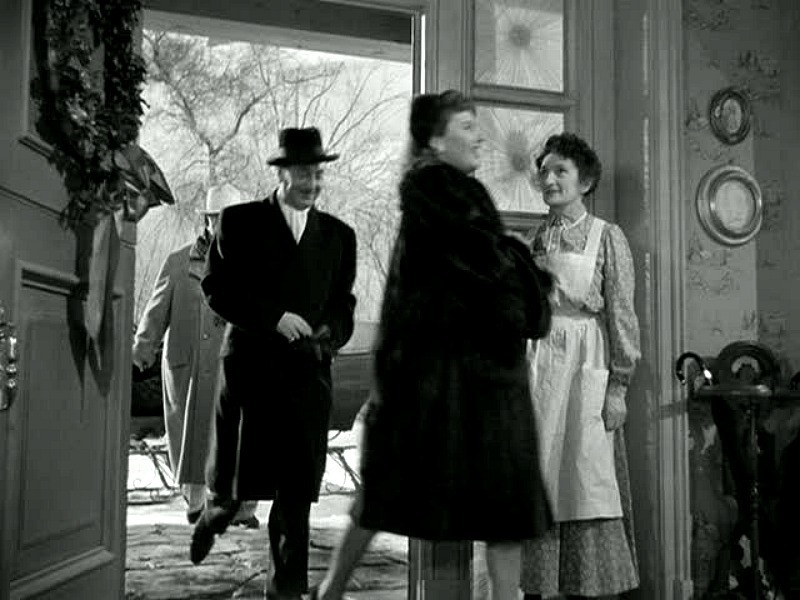 I’d take Gladys Taber’s house, too, though. I’m so jealous that you have her books with the DUST JACKETS. Mine are naked, but I love them anyway. Have you read the Susan Branch blog in which she writes about her visit to Stillmeadow? Wonderful. I keep dreaming of reading in your back room with those beautiful windows all around. So cozy. Merry Christmas to you….? That’s not supposed to end with a question mark. Haven’t seen you for so long; it was a pink heart. Good point! We don’t see this style much any more, do we? We need to bring some of those things back! When my sister lived in Connecticut we would pass Stillmeadows, such a sweet cottage. 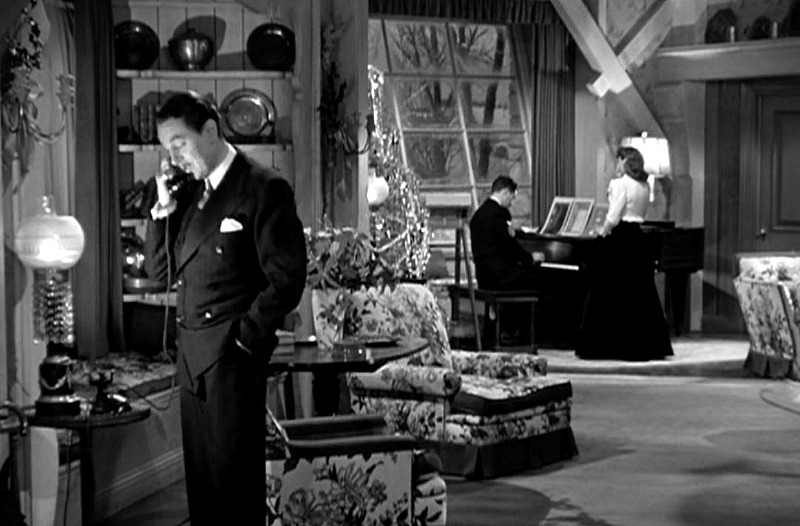 Just watched that movie a week ago l love the homes interior and the scene as they drive up to the home. Thanks for the article. I love the kitchen and the super large fireplace and the whole house. It’s a wonderful home. I know I’ve seen the movie, but it’s been a long time. I want to buy it now too. Thanks for the interesting story on Gladys Tabor. As I was reading I was picturing my Grandma and Mom reading Ladies Home Journal and her column and those are nice warm holiday thoughts to have today. Merry Christmas! Welcome back Julia, I have missed your writing! Hope all is well in your world. Love this movie and old movie houses! I saw an oldie this morning that you would love the interiors of. It was called The Animal kingdom,1932 with Myrna Loy and Leslie Howard. 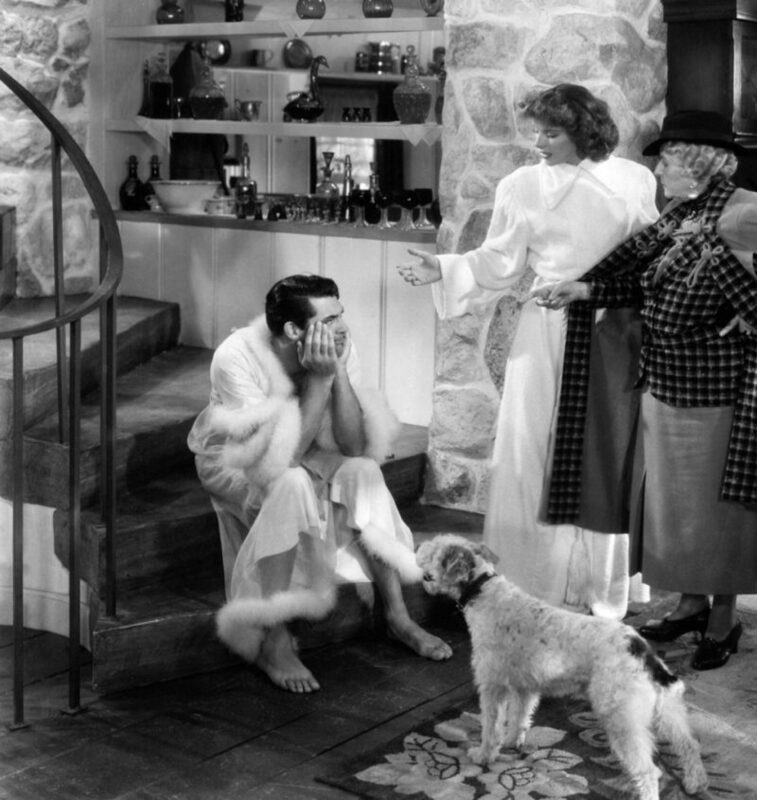 (on TCM)The Myrna Loy character was a wealthy heiress and her home was just beautiful.I couldn’t stop watching it .I wish I knew how to do screen grabs or I’d have done it. So pretty. It’s kind of a soap opera type story . I love the house in the remake of Christmas in Connecticut with Dyan Cannon and Kris Kristofferson as Jefferson Jones. Do you know if that was filmed on a set or in an actual house? I found Gladys Taber many years ago and she infused my life with such joy. 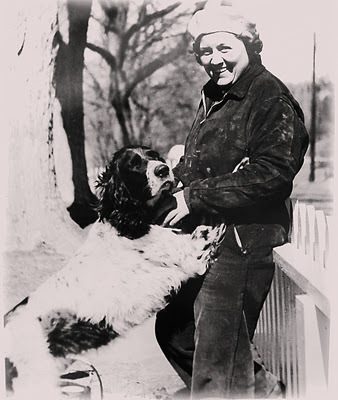 Because of her, I became a magazine writer and a Cocker Spaniel owner and breeder as well as a proud Irish Setter owner of Jillian. I named her Jillian after Gladys dear companion, Jill. For those who long for a peaceful country life and sweet dreams do hunt down her books. Those of us who truly loved Gladys knew of her secret white unicorn that she would see out cropping the wood violets…I am blessed by the real company of Native American White Spirit Deer. Gladys would have loved this! Love that movie! Thanks for all the background info and for the link to the DVD. I just bought myself a $5 Christmas present! Love your blog, but glad you took a break. We all need them. Most of the time I just file them to look at later, but this subject line caught my attention. Earlier this afternoon I was looking at the TMC schedule and if I’m reading it correctly, Christmas in Connecticut is on this Sunday, Dec. 11th 2 PM eastern; and again on Thursday the 15th at 10 PM eastern. I didn’t set a recording, but after reading your blog I have. Thank you! I cannot thank you enough for featuring this house. 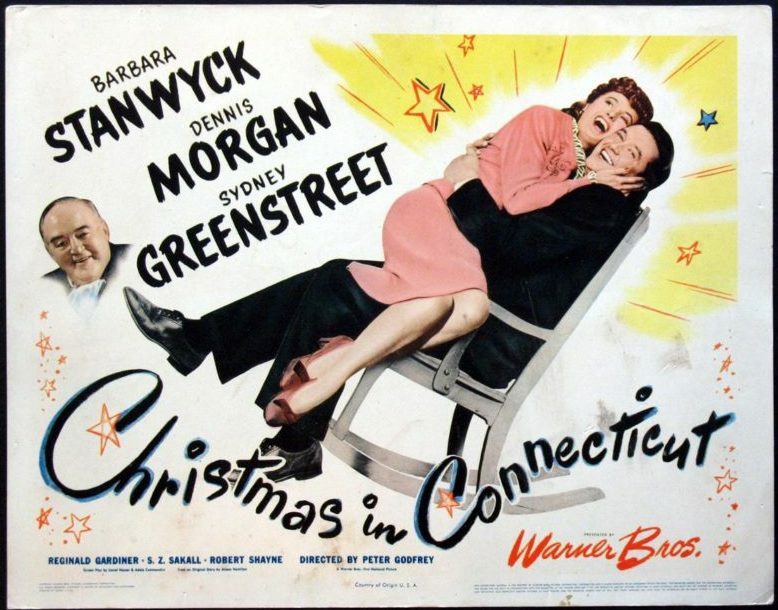 Christmas in Connecticut is my all-time favorite Christmas movie. 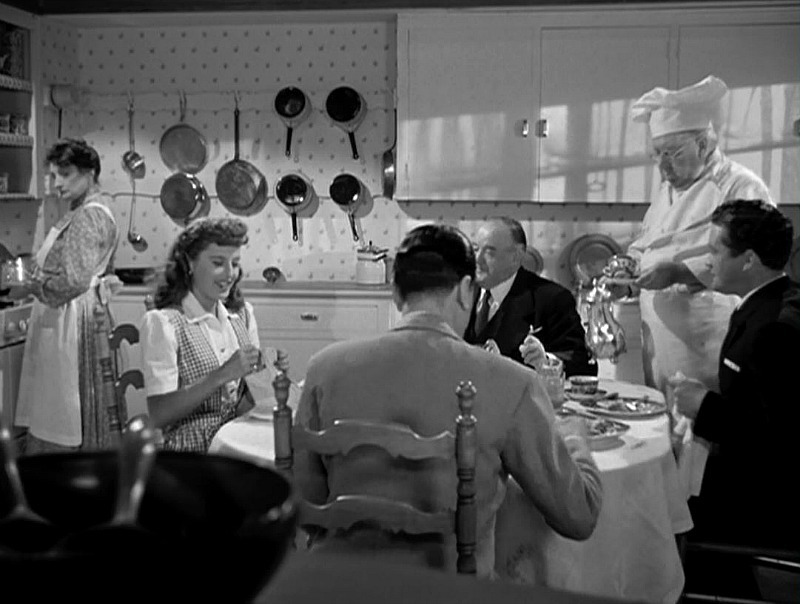 As I prepared Thanksgiving dinner this year, the movie kept me company. Elizabeth Lane has been a hero of mine since I was a little girl. I think that memories of this house, from childhood viewings of this film, truly shaped my love of New England and historic homes. Thank you also for sharing the back story. I’ll be adding Gladys Taber’s work to my Christmas list. Every year we watch this movie (though I’m the only one who wants to!) and I say to my husband that this house is all I want for Christmas! 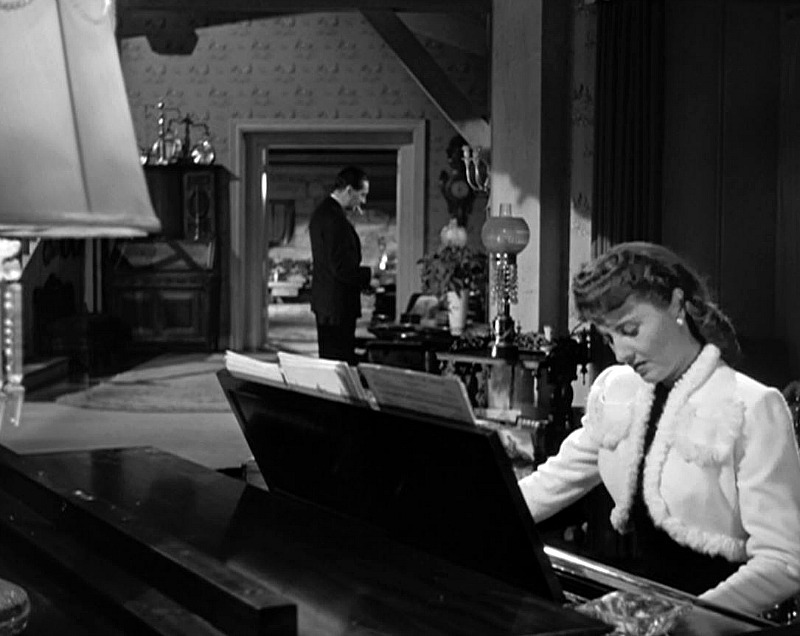 It is just as current and beautiful to me today as it must have been to audiences at the time. This is the sign of truly classic design. I need to see that movie again, it’s been way to long. I was delighted to see you mentioned one of my favourite authors, Gladys Taber. Also happy to learn Stillmeadow is still in the family. Thanks for your blog, I’ve been a member for about a year now. I appreciate all the hard work you put into it. Happy Christmas to you and your family. See you in the New Year!! I’ve never even heard of this movie, but you’ve sold me on it! I just bought it and have a feeling it’ll become a Christmas favorite for me 🙂 Thank you! 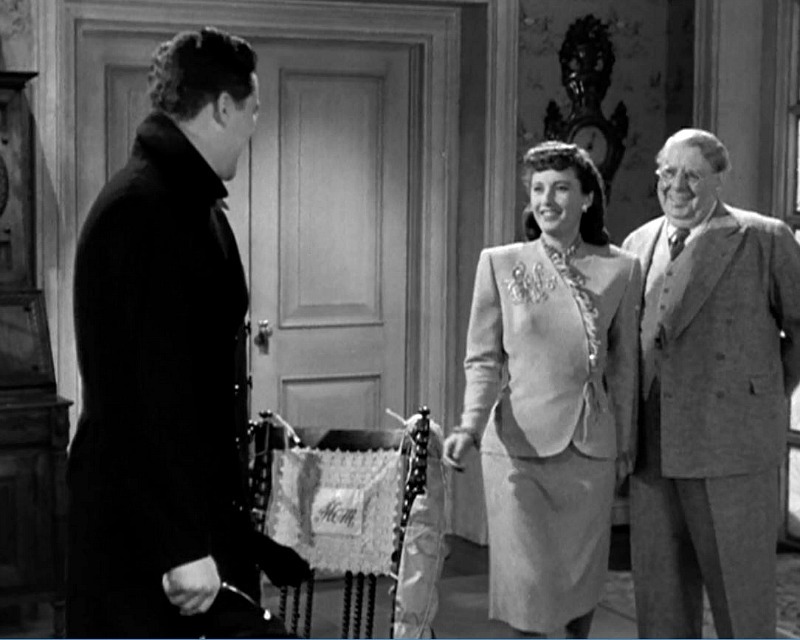 This was a new/old Christmas movie for me and I just love it…the house is enchanting, the dialogue is fun, the story is a mix of WWII history with a never-gets-old love story and perhaps most of all…the magnificant1940s clothes…even in Black and White. WoW! 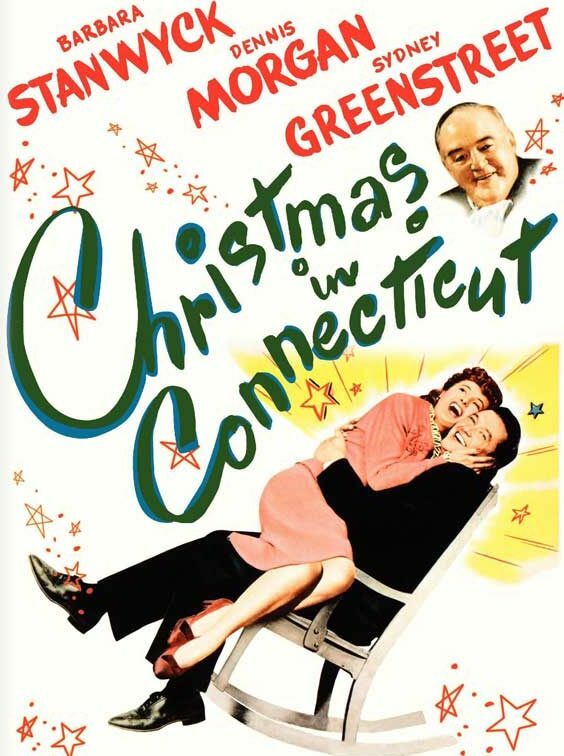 I love this movie, the Christmas in Connecticut house is my ultimate, dream farmhouse and Gladys Taber books are my go-to comfort reads. I feel like I was given a personalized Hooked on Houses Christmas gift :)! Thank you, Julia. 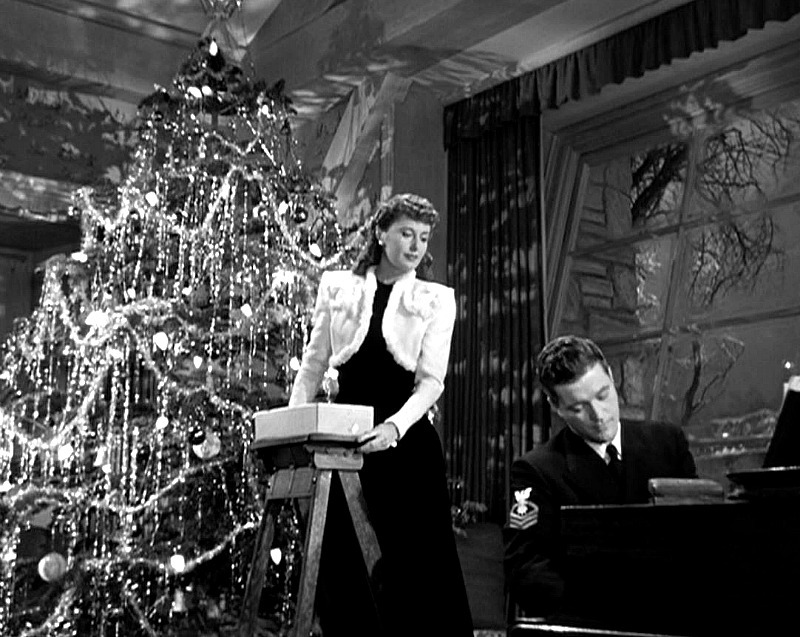 As I recall when I saw this movie I kept wondering about the location of that large oddly outward slanting window behind the piano and Christmas tree. I don’t think you see it in the exterior entry scenes. It seems like I concluded it was on the wall of the left end of the house (seen from the front). 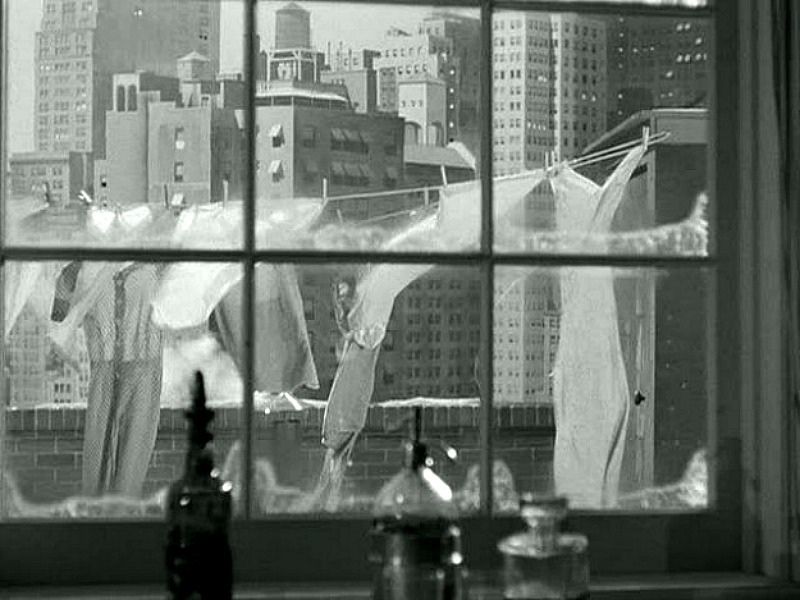 I suspect the set designers were not very concerned with how a window like that might work on the exterior, though. Wouldn’t it be wonderful if set designers released plans for houses they designed or actually built? Of course they should partner with an architect to make it happen, but being able to replicate some movie homes would be really lovely.